Many Anti-Federalists refused to ratify the U.S. Constitution without a bill of rights. Image courtesy of Documenting the American South, University of North Carolina at Chapel Hill Libraries. Although the nascent United States, under the Articles of Confederation, defeated the British Empire during the American Revolution, nationalists considered the existing national government too weak and asked for a more powerful central government. In the summer of 1787, delegates from various states convened in Philadelphia. Some such as Patrick Henry (VA) chose not to attend; he “smelled a rat.” Many wanted only to revise the Articles; others wished to draft a new document and thereby institute a new form of government. After much debate, nationalists reigned supreme: the U.S. Constitution was drafted and submitted to the states for ratification (approval). The Hillsborough Convention offered opportunities for leading Federalists and Anti-Federalists to put forth their arguments. Key Federalists included James Iredell, Sr., who had gained widespread respect during the American Revolution for challenging Blackstone’s ideas regarding parliamentary sovereignty. Before North Carolinians convened, James Iredell, Sr., had been declaring the necessity of the document and championing its positive elements. Other key Federalists included William R. Davie and Richard Caswell. Iredell, in particular, showcased great oratorical skill and answered many Anti-federal questions concerning the nature of the Constitution and the threat it made regarding individual liberty. The Edenton delegate championed the document as a protector of rights because it incorporated rights into the document by limiting the central government’s power. Although he said little, Willie Jones (pronounced Wiley) led the Anti-Federalists; however, Samuel Spencer became their spokesman. Other key Anti-Federalists included Timothy Bloodworth. These men distrusted the central government and believed states’ rights best protected individual liberties. After debating for eleven days, it became clear that the Constitution would not be ratified in North Carolina until a Bill of Rights was added. By a vote of 184 to 83, North Carolina decided not to ratify or reject the Constitution and provided a list of rights and suggested amendments for Americans. 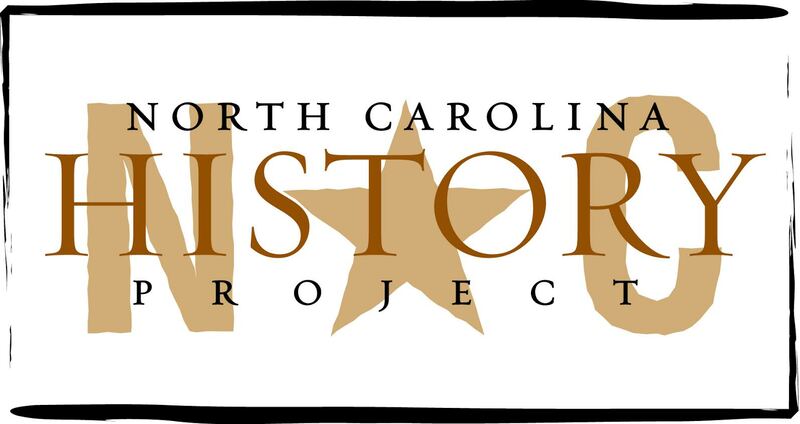 During the latter months of 1788 and until November 1789, North Carolina was out of the Union, yet in more than a few ways, the state acted as if it was in the Union. The Hillsborough Convention had sent suggested amendments to other states so that North Carolinians’ concern to protect liberty might be made known. It remained out of the Union because its citizens feared the national government might encroach on their liberties. Yet, North Carolina, at times, acted as part of the Union. North Carolina, for instance, levied a tariff on goods and then turned over the profit to the United States. Meanwhile, Hugh Williamson, a delegate to the 1787 Constitutional Convention, served as an ambassador for North Carolina at Philadelphia, then the United States’ capital. There, he expressed that his government acted primarily out of a concern for liberty rather than abhorrence for the new U.S. government. The United States meanwhile encouraged North Carolina to join the Union (the nation, for example, allowed North Carolina vessels to enter U.S. ports free of charge), and Williamson asked for the U.S. government to amend the Constitution in ways that might make it acceptable for North Carolinians. While Williamson garnered good will among Americans, North Carolina Federalists campaigned for another ratification convention. A second convention was held in Fayetteville. By the time it met in November 1789, George Washington had been elected as President of the United States, and almost all expected North Carolina to ratify the Constitution; a Bill of Rights had been added to the U.S. Constitution. The outlook looked bleak for the recalcitrant Anti-Federalists, so Willie Jones refused even to attend the Fayetteville Convention. Minimal debate occurred at the Fayetteville Convention, and Federalists easily won the day. North Carolina ratified the U.S. Constitution on November 21, 1789, and from the beginning, the state enjoyed the same rights as existing states. Lindley S. Butler and Alan Watson, eds., The North Carolina Experience: An Interpretive & Documentary Experience (Chapel Hill, 1984); Stephen E. Massengill, North Carolina Votes on the Constitution: A Roster of Delegates to the State Ratification Conventions of 1788 and 1789 (Raleigh, 1988); William S. Powell, North Carolina Through Four Centuries (Chapel Hill, 1989); Proceedings and Debates of the Convention of North-Carolina, Convened at Hillsborough, on Monday the 21st Day of July, 1788, for the Purpose of Deliberating and Determining on the Constitution Recommended by the General Convention at Philadelphia, the 17th Day of September, 1787: To Which is Prefixed the Said Constitution (Edenton, 1789); Milton Ready, The Tar Heel State: A History of North Carolina (Columbia, 2005).